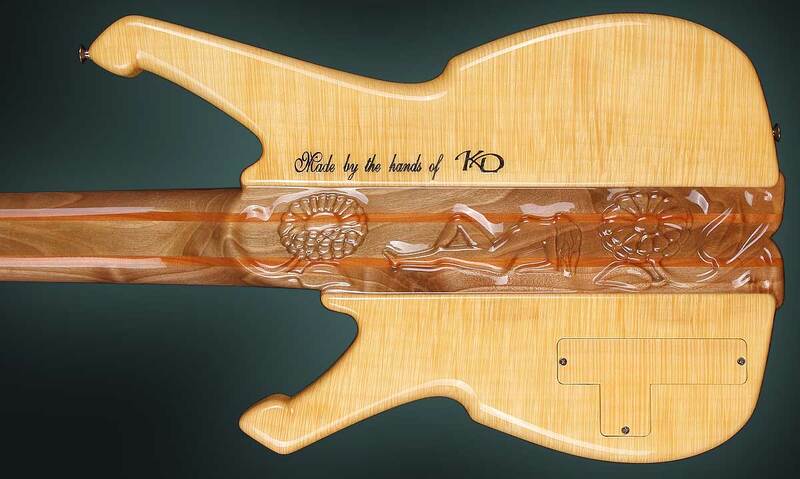 The story behind the creation of this true handcrafted bass model can be described in only one word – Inspiration. Some of my most extravagantly creative years were between 2003 and 2008. This was a period in which I not only created one of my most attractive models, but in which I also received inspiration from so many different sources — nature, animals, people, various events and many others. The Encrypter was created during this period. 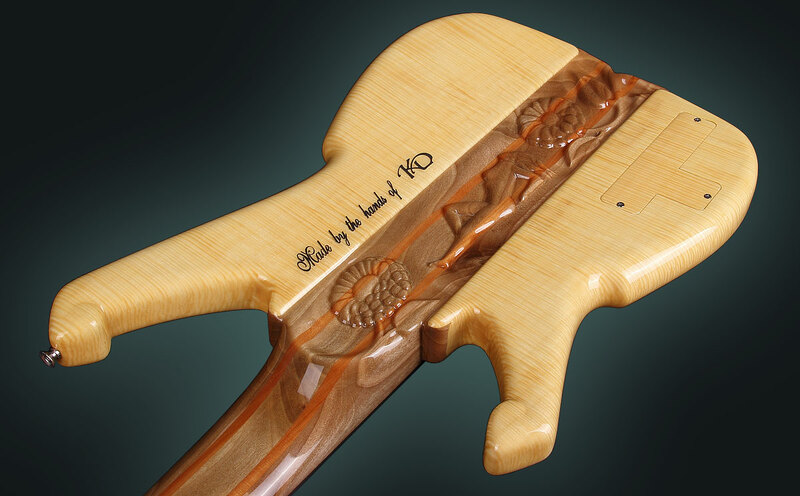 Within this guitar are very complex and unusual constructions of combined rare woods, a unique and one-of-a-kind bridge and a woodcarving on the back. 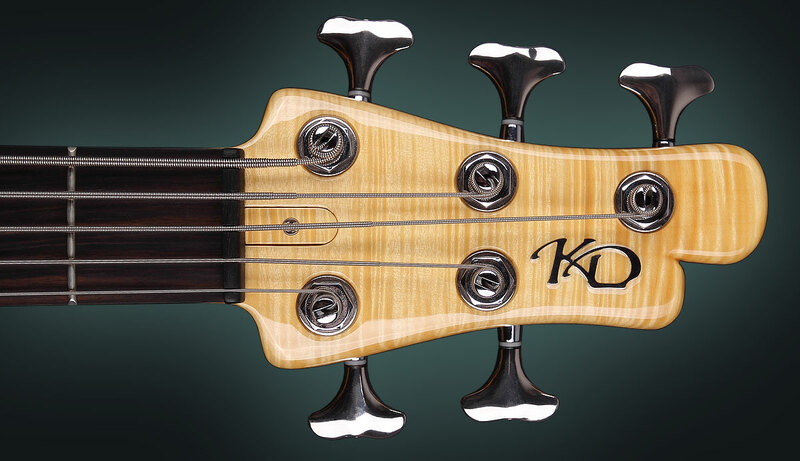 Tuners: KD Machine heads with additionally improved design, which includes new style hand-made buttons, and KD logo in the middle of the lids. 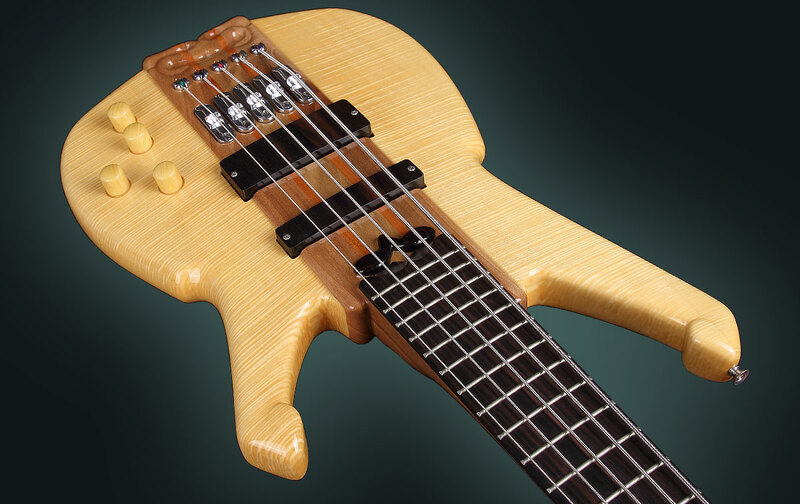 Bridge: Handmade Individual Bridge is designed, invented and developed by KD. 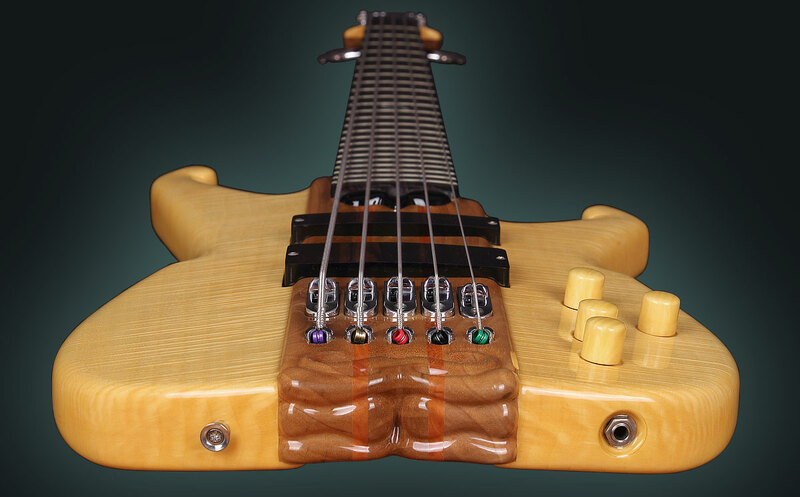 The bridge consists of two main parts, Individual string Saddles and a Tail-piece. 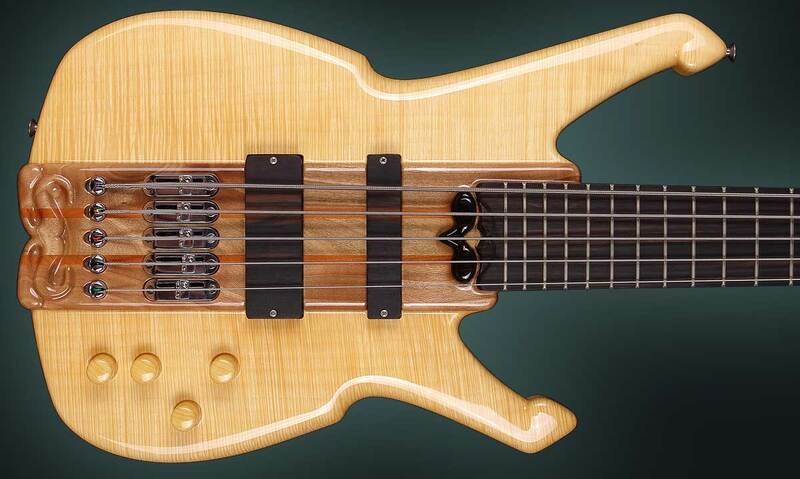 The Saddles are designed for ease of adjusting the height of the strings through two screws on both sides, and a string saddle for easy intonation. 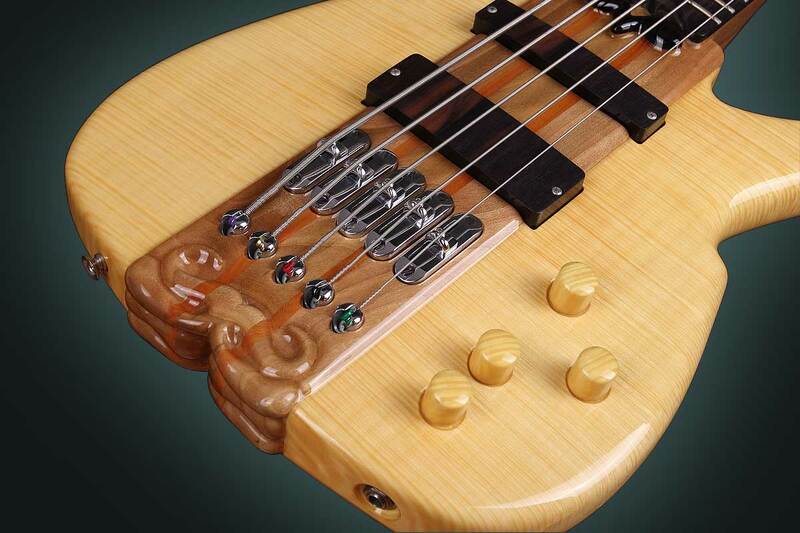 The Tailpiece is specially hand-made for this bass model. 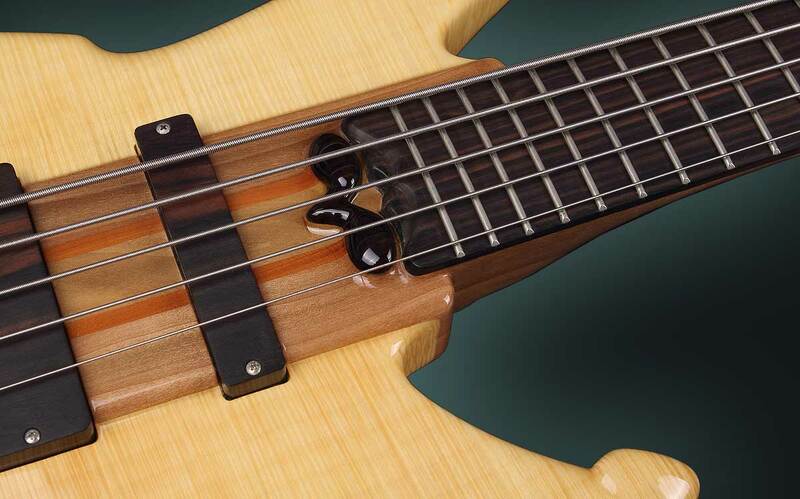 There are no visible screws going through the Tailpiece or the body of the Bass. Each part and detail of the bridge is 100% hand-made, which is a guarantee for unique appearance and functionality. For orders send me an e-mail via the Contact form or just call!